A great stash buster using batiks! 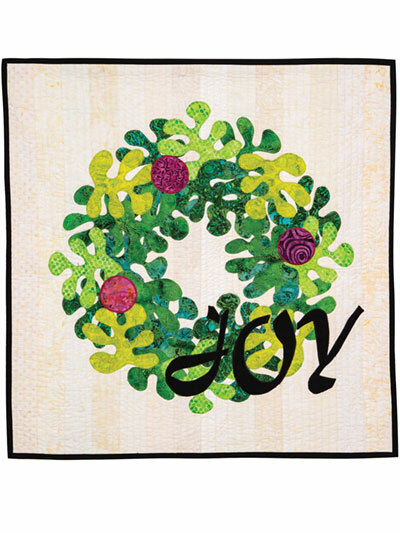 Fusible applique makes quick work to create a fresh and festive wreath wall hanging. Inspired by the late 1800s French impressionist artist, Henri Matisse; his pure creative joy and playful collage are at the heart of this design. Finished size is 28" x 28".